Everton can win a third straight league game for the first time since January 2017 when Crystal Palace visit Goodison Park. A bright start for Marco Silva at the club threatened to falter following a home draw with Huddersfield and a defeat to winless West Ham last month. But things have since picked up, and their 2-1 win at Leicester before the international break was arguably the best result of his tenure. There is finally some good news on the injury front for Silva, who has been without summer signings Yerry Mina and Andre Gomes as well as midfielder James McCarthy all season, with confirmation all three could face Palace on Sunday, live on Sky Sports Premier League from 3.30pm. "I want competition and I have to take the decision [whether they will play]," he said. "(Keane and Zouma) are doing well, we are being more solid in the last games as well as a team, not just the two central defenders, but as a team. "It's important, not just Mina but Jagielka and Mason as well, they are our central defenders and they have to work hard to achieve what they want which is to play in the team." 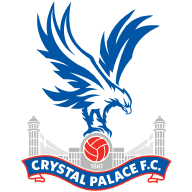 Crystal Palace have won only once since they beat Fulham at Craven Cottage on the opening day of the season, and are in danger of being dragged towards the relegation zone - although their start still eclipses the nightmare opening they suffered at the start of last season, when they lost their first seven games. Wilfried Zaha withdrew from the Ivory Coast squad during the international break with an adductor injury. 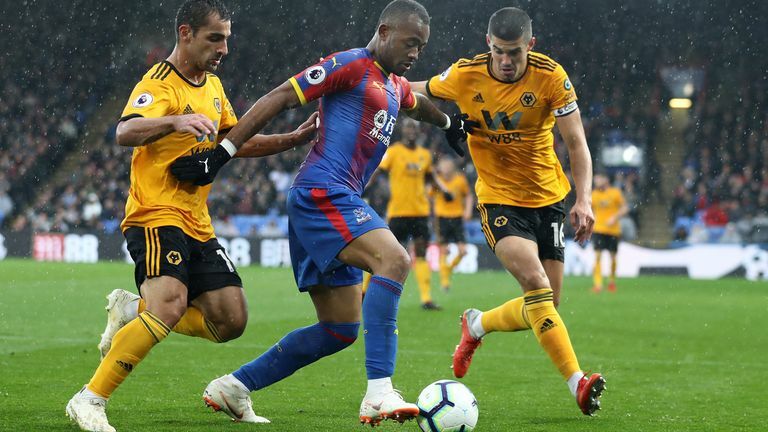 Palace have not won a league game in more than two years without him. "He hasn't trained with us since the injury, but we are hoping that he will train, and if he is, I guess he will be available to play," Roy Hodgson said of Zaha's fitness. "I don't know where that information that this is a two-month injury came from. We have never been mindful that it could take such a long time; it is a strain that players get on a fairly regular basis." Yerry Mina, Andre Gomes and James McCarthy could all be involved in some capacity as Everton welcome Crystal Palace to Goodison Park on Sunday afternoon. 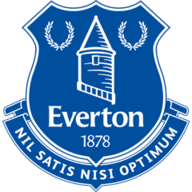 Defender Mina and midfielder Gomes have yet to make their Toffees debuts following their deadline-day moves from Barcelona due to respective foot and hamstring injuries, but both have returned to full training. So, too, has McCarthy, who has been sidelined since suffering a horrific double leg break in January, but fellow midfielder Idrissa Gueye is a doubt after injuring his ankle while on Senegal duty during the international break. Wilfried Zaha faces a late fitness test on an adductor injury before Sunday's game. Max Meyer and Alexander Sorloth will similarly be given time to recover from viral infections. Christian Benteke is recovering from surgery on his knee, Joel Ward has a muscular injury, and Scott Dann and Connor Wickham are short of match fitness following long-term knee injuries. Everton are unbeaten in seven Premier League games against Crystal Palace (P7 W3 D4 L0) since a 3-2 defeat at Goodison Park in September 2014. Crystal Palace have won more away Premier League games against Everton than against any other side (4), though they've won none of their last three there (D2 L1). 15% of the goals scored in Premier League matches between Everton and Crystal Palace have been penalties (7 of 48) - the joint-highest percentage of any fixture in the competition to have seen at least 40 goals (level with Arsenal vs Stoke). Everton have lost 11 of their last 14 Premier League games played on a Sunday (W1 D2 L11), with their solitary victory in that run coming against Watford last November (3-2). Everton are looking to record three consecutive Premier League victories for the first time since January 2017 - with the third win in that run coming at home against Crystal Palace. Crystal Palace have won just one of their last seven Premier League games (W1 D1 L5). Everton manager Marco Silva has lost both of his Premier League games against Crystal Palace, losing with Hull in May 2017 (0-4) and Watford in December 2017 (1-2). In all competitions, Crystal Palace boss Roy Hodgson has lost seven of his eight matches against Everton at Goodison Park, drawing the other. Everton's Gylfi Sigurdsson has been involved in seven goals in his last six Premier League starts against Crystal Palace (three goals, four assists). Crystal Palace forward Christian Benteke has scored five goals in nine Premier League games against Everton - only against Sunderland (7) and Liverpool (6) has he scored more. Everton's win at Leicester was a big victory, especially after their defeat in the Carabao Cup. The cup defeat was a poor result but they bounced back in good style at Leicester. They looked decent at the King Power Stadium. They scored a great goal through Gylfi Sigurdsson and at times during the game they looked by far the better team. It was a great result and I'm backing them to continue that form against Crystal Palace. Palace are all over the place at the moment. They are struggling badly so I'm going for a comfortable home win.